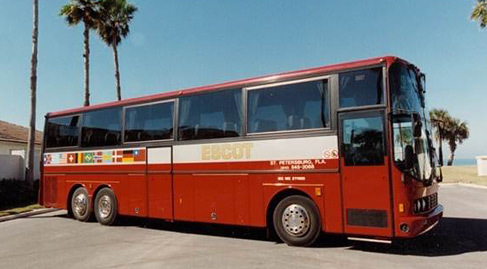 ESCOT Bus Lines is a charter bus company which originated in St. Petersburg, Florida in 1983. Beginning with a fleet of two mini-buses that provided daily shuttle service to Tampa Bay area attractions, the company grew rapidly until it seemed wise for Lou and Diane Scott to expand their scope of business. They added a leased Eagle coach to the growing fleet in 1985, and they began to concentrate on the charter market, gradually adding equipment and establishing a quality reputation in the Tampa Bay area. 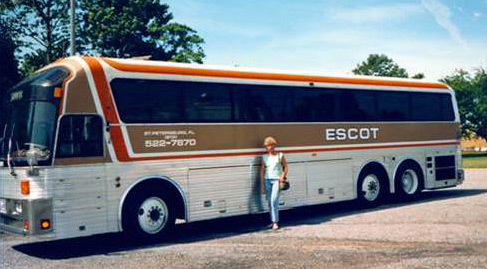 One of the early (then state-of-the-art) European coaches. In 1990, the Scotts decided that, in an increasingly competitive market, one key to success was to develop a trademark niche. Building on a reputation for good service and clean equipment, they began to build a fleet of ultra-modern European style coaches. The appeal of attractive styling and passenger amenities accurately reflected the company’s commitment to providing quality transportation for their clientele. The strategy has worked. Their fleet grew from the original two mini-buses in 1983 to 45 late model charter coaches, and 19 transit style coaches for contract services. This growth has been a result of identifying the market they wanted to pursue. The Motorcoach business is one of those unique fields where no matter how many opportunities are created by careful planning and good fortune, they can only be fulfilled by hard work. Careful planning is certainly part if the reasons for ESCOT’s success, but another significant factor has been the involvement of the Scotts’ children, Brian and Pam. Both worked in the business as kids, and have acquired the skills and the work ethic that have enabled the company to expand. 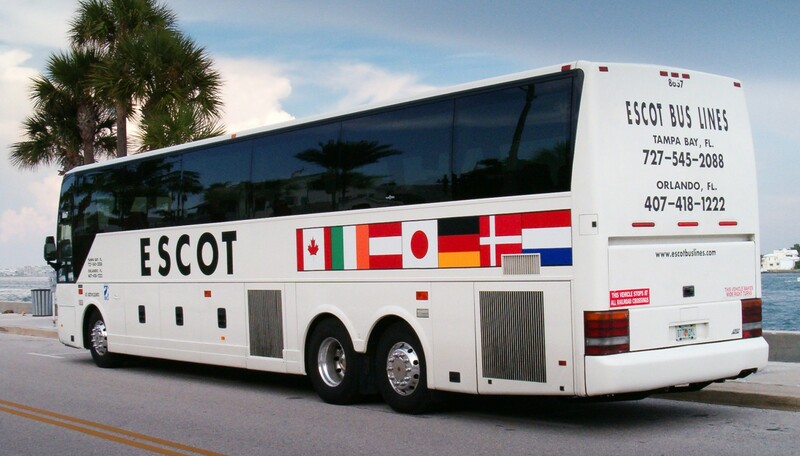 During the summer, traditionally a quiet time for Florida carriers, ESCOT does a great deal of contracted long distance tours, even some going from coast to coast. A combination of late model equipment, first rate maintenance, and quality drivers, most with several years of over the road experience, enables them to range throughout the United States and Canada. Although the long distance charters are important to the business, ESCOT keeps several buses at home during the summer months to take care of their local clientele, which includes church groups, mobile home parks, senior citizen organizations, and local tour operators. Quality service combined with careful planning and hard work keeps ESCOT’s equipment busy all year long and provides a solid foundation for ESCOT’s growth into the 21st century.